LIVE YOUR LIFE IN A WAY THAT MAKES OTHERS STOP AND TAKE NOTICE. We all have the right to create a life drafted from our biggest dreams. It's my duty to help you get there. Let me support you by being your coach and personal guide to cultivating a life of your design, reconnect with your best practices of self-care or support the creation of your business. Keisean Raines, the organizer of Rooted and the Rooted Collective is a former tech-sales guru turned Writer, Author, Intuitive Speaker, Holistic Healer and Lifestyle Coach. She earned her 200 Hour RYT Certification in 2013 from Yogalution Movement in Long Beach, CA. Keisean has been featured on the Tom Joyner Fantastic Voyage, was a lead facilitator of the Women's Empowerment Movement in Long Beach, and a guest facilitator at the QTPOC Open Space at the LGBT Center of Long Beach. She is the author of the book, "Because I Said So: Simple Ways to Rewrite Your Story", a top seller on Amazon; and the host of the popular podcast, "Working Title with Keisean" published where all podcasts are streamed. Her specialization are Hatha-Vinyassa Yoga, Body Empowerment Coaching and Holistic Lifestyle Education. She uses the modalities of Hatha Yoga, Amatra Meditation, Channeling Positive Affirmations and Intuitively Guided Writing to cultivate healing for others. Her intention is to bring the practices of body-positive yoga, mediation and mindful wellness habits into the lives of many in the effort to create a world that is healthy, wealthy and wise. So Hum Wellness by Keisean Raines offers Holistic Lifestyle & Mindful Movement Coaching. 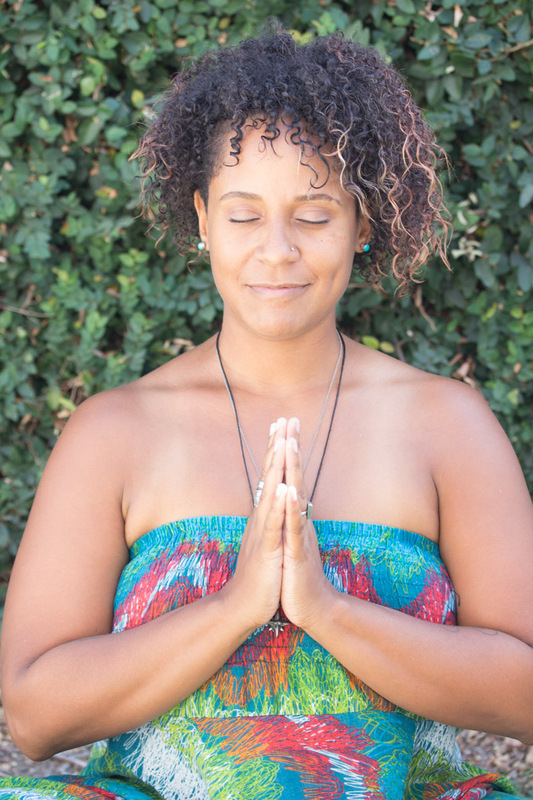 Through personalized, practical programs, Keisean provides clients with a toolkit called The So Hum Method; a proven combination of daily practices designed to cultivate a life rooted in wellness, peace and prosperity. Keisean does this work to support people with their pursuit of creating a life of their own design. She does so by applying wisdom gained through self-study, intensive personal development trainings and frankly making a few dozen mistakes along the way. The intention is to help others cultivate success and positive growth in their lives with practical, palatable and simple "tweaks" that create a massive, impactful change in their lives. Want keisean to come teach at your studio? This course is for people who desire to create a sense of a connection. In this world where so much separatism, segregation and detachment from one another exists, what we need more of is a true sense of connection. A connection with others. A connection with Self. This course is a pathway to both. Listen and subscribe to the podcast, Working Title: Conversations with Keisean Raines, where amazing things happen, my stories are shared, folks are empowered, inspired and impacted to be more amazing versions of themselves through simple conversations about complex shi* like life, love and the pursuit of being real. A 60 minute 1:1 session to test the waters of the So Hum Wellness Method coaching with Keisean. 90 minute customizable session designed to introduce the practice of Yoga and Mindful Meditation. 90 minute session of foundational Yoga & Meditation practices designed to cultivate a deeper connection. 120 minute workshop designed to introduce the 8 Limbs of Yoga paired with a Yoga & Meditation practice.